Ladies, today let’s talk about ‘that time of the month’ when Satan takes over our mood and uterus. The days you feel squirmish, whiny and seem to be hating everything/everyone around you – YES! our periods. Have you ever realized that the invention of tampons, sanitary naphkins and menstrual cups were bloody (pun intended) brilliant? Also, ever imagined how messy (again, pun) our lives would be without this medical miracle? Well, scroll down to see all that the women from the last century have been through which lead to these modern lifesavers. Also, for the part where Satan takes over our moods, I guess it’ll probably take another couple of century to handle these monthly spells with poise. The women kind were blessed with their first sanitary napkins in 1888. But sadly, it was still considered indecent to talk about periods in public and hence, this medical wonder didn't get the PR it deserved and sadly it got discontinued. 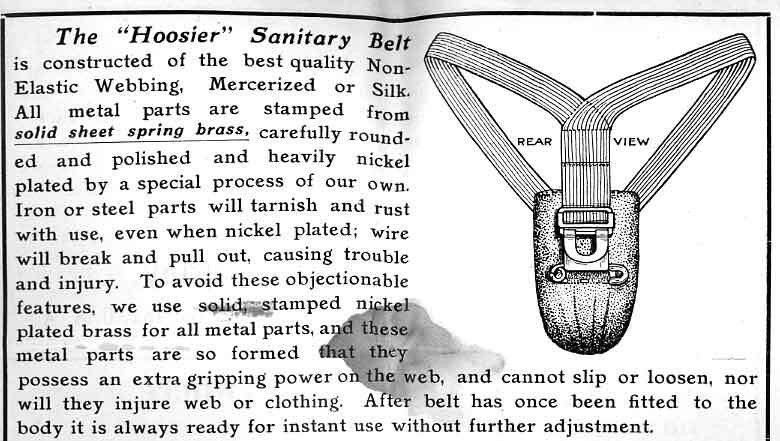 1920s saw women using what resembled a torture instrument but had a much friendlier name, 'The Sanitary Belt'. Pretty sure these weren't as ruthless as they looked. The 30s unraveled - the applicator tampons. Sadly, these were only sold to married women due to the unpopular rumour of tampons taking away a woman's virginity. Guess, money couldn't buy you all the luxury after all. Back then, atleast.